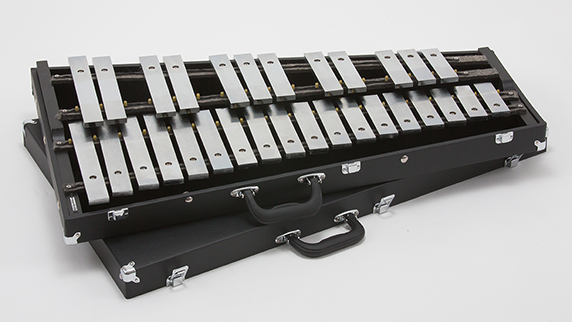 Majestic B3525S 2.5 octave orchestra bells feature precision tuned thick steel bars with single pin mounting and deep wood case with aluminum valance. Precision tuned aluminum bars with durable anodized finish, for high weather resistance. Carrying bag included for easy transportation. Fine tuned high carbon steel bars for all kind of performing venues. Wood case protects the keyboard during transportation. 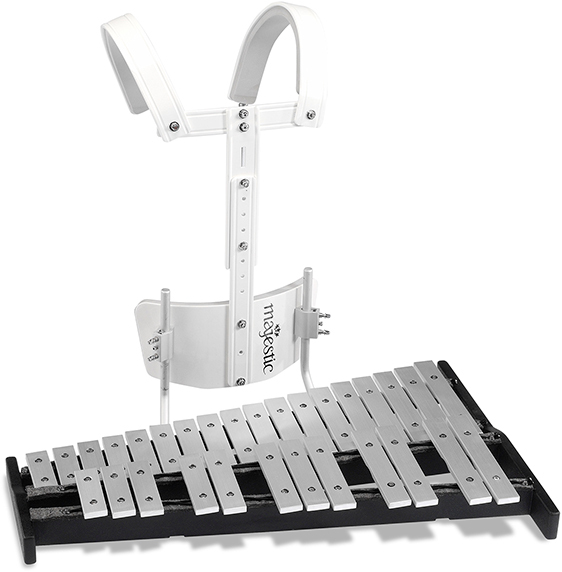 Majestic 2.5 octave concert bells feature precision tuned bars with optimal nodal mounting and durable wood case. Dual pin mounting provides great stability to the aluminum bars. Precision tuned aluminum bars for orchestral performances. Deeper wood case produces tremendous resonance and sustain, and protects the keyboard during transportation.